Value Investing Conference in Copenhagen, Inflation and Clueless Pols. 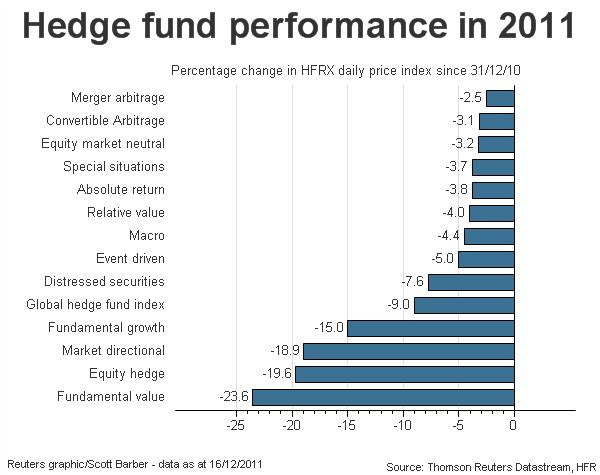 Various presentations and videos on value investing and the market in 2012. Scroll down and read: The five things you didn’t know about value investing by SKAGEN Global portfolio manager, Torkell Eide. Repeal 1021 of the National Defense Authorization Act which codifies into law rules allowing the President to arrest and hold American citizens indefinitely without any due process rights or protection of the Bill of Rights. Heil Obama! You will find Money Management Interviews from 2005 to 2011, 1938 page PDF. All from generous, anonymous contributors. Thank you! Readers should know that if ever I benefit from a reveral/advertisement, I will alert you upfront about any conflict of interest or incentive-based bias. Mises Academy (http://academy.mises.org/) has an eight week course on Mises’ Theory of Money and Credit taught by Robert Murphy. I have taken a few courses from Prof. Murphy, and he is an engaging lecturer. Go here: ( http://consultingbyrpm.com/blog). This course will tour Ludwig von Mises’ classic work, Theory of Money & Credit. Space constraints prevent us from covering the entire book. Instead we will focus on Mises’ two crucial achievements in the book: (1) His unification of “micro” and “macro” by successfully applying the modern subjective theory of value to money, and (2) his development of (what we now call) Austrian business cycle theory. The course will showcase not only Mises’ brilliance as a novel thinker, but also his excellent command of the literature and his selection of the best ideas from other schools. The video lectures are online. Lectures will be Wednesday evenings, 6:30 – 8:00 pm Eastern Time. They will be recorded and made available for enrolled students to download. All readings for the course will be free and available online. The final grade will depend on quizzes. Taking the course for a grade is optional. The Mises Academy is currently not accredited, but this course is worth 3 credits in our own internal system. Feel free to ask your school to accept Mises Academy credits. You will receive a digital Certificate of Completion for this course if you take it for a grade, and a Certificate of Participation if you take it on a paid-audit basis. An adjunct scholar of the Mises Institute. He runs the blog Free Advice and is the author of Chaos Theory, The Politically Incorrect Guide to Capitalism, the Study Guide to Man, Economy, and State with Power and Market, the Human Action Study Guide, and The Politically Incorrect Guide to the Great Depression and the New Deal. Read one of his numerous Mises Daily articles. Risk is a function of probabilities and consequences – not just how likely you are to be right but how badly you will suffer if you turn out to be wrong. Investors tend to be overconfident about the accuracy of their own analysis-and to underestimate how keenly they will kick themselves if that analysis is mistaken. Understanding your own shortcomings as an investor is far more important to your long-term success than analyzing the pros and cons of individual investments. Video Lecture–How the world became rich: The Birth of Plenty by William Bernstein (58 minutes). This is an enjoyable romp through economic, political and financial history that explains how countries create wealth. http://www.youtube.com/watch?v=fTUZXwQwUJM from http://www.efficientfrontier.com/ Another great resource. An amazing collection of academic research on securities and historical financial data here (need prices on stock from 1825? How about on the Shanghai Stock Exchange? ): http://viking.som.yale.edu/ Follow the links. If you want to contribute to a book on Moats: The Competitive Advantages of Buffett & Munger Businesses go here: http://www.frips.com/book.htm. You can read a few sample chapters of the book. I disagree with Buffett’s comment that Net-Jets has a competitive advantage—perhaps the company’s scale reduces its deadhead costs—but the company has yet to show consistently high profitability. I am not recommending this book/project, only making you aware. I hope when we complete our study of competitive advantages, you could surpass the analysis found there. Below is an assortment of blogs I have come across. The bolded links are ones I have found to be informative, but with little time to read all of these blogs, I leave the rest up to you. Your first priority in learning about investing should be to read original company filings with your accounting textbook alongside and/or the works of the masters like Buffett, Fisher, Graham, Klarman, Greenblatt, and Munger. However, any blog which informs and encourages you to think is worth a perusal. Learn from many sources, just don’t fritter away your time. www.brontecapital.com Also, read his analysis of Fairholme (name not mentioned) here: http://www.brontecapital.com/peformance/2011/Client%20Letter%20201111.pdf. SHLD, one of Fairholme’s holdings, is mentioned in the last posting. This is a lesson in correlated bets of a NON-diversified portfolio. If wrong, you go down with the ship. There are many lessons here: allocation of capital, operating a non-franchise business, a bad business, and hubris. We shall return again. Greatest Company Analysis, Studying Franchises and More…………. Do you agree with the above analysis? The five companies below are considered by some to be franchises. Build a database of franchise companies to eventually purchase at the right price for you. Write down what you think are the sources of competitive advantage. Can you arrive at a ball-park value? If not now, then set aside for future reference. Note the level of ROIC, operating margins, use of excess capital, growth and investment needed for growth and the history of returns. I have never held a ball in my hands, but even I know Jordan is practicing magic not basketball–but, then again, he almost didn’t make his high school team. The European Central Bank (“ECB”) is offering euro zone banks loans of up to 3 years on Dec. 21 at a rate of 1%. A Wall Street/City of London Whiz can buy Spanish paper at plus 2% on money borrowed from the ECB at 1%. Brilliant! This is going to deluge the Euro zone with money and become extremely bullish for the Euro zone markets and price inflationary. How else do central bankers know how to deal with a financial crisis. Print. A bank, then, is not taking the usually business risk. It does not, like all businessmen, arrange the time pattern of its assets proportionately to the time pattern of liabilities, i.e., see to it that it will have enough money, on due dates, to pay its bills. Instead, most of its liabilities are instantaneous, but its assets are not. The bank creates new money out of thin air, and does not, like everyone else, have to acquire money by producing and selling its services. In short, the bank is already and at all times bankrupt; but its bankruptcy is only revealed when customers get suspicious and precipitate “bank runs.” No other business experiences a phenomenon like a “run.” No other business can be plunged into bankruptcy overnight simply because its customers decide to repossess their own property. No other business creates fictitious new money, which will evaporate when truly gauged. Today I read a very technical article on credit derivatives as used by banks (and other institutions), and in the end I came away thinking “this is madness.” There are so many hairy problems involved here in attempting to price these things and no one knows the answers. I think answers are unobtainable. The assumptions being made about measuring risks are untenable. In an “Austrian” world, no one can predict them and past distributions do not suffice. Banks doing large amounts of trading in derivatives do not know what their risks are. However, astoundingly, huge sums of money are recorded as gains and losses on accounting statements based on estimates of risk parameters that no one actually is sure of. I kept thinking that these banks are doing all this trading while having their deposits insured and the FED as a backup. This is a huge moral hazard problem. Mention was also made of the re-hypothecation issue that can set off unknown chain reactions of failures. The MF Global collapse is the canary in the mine. If the dollar had stayed anchored to gold, we would not have had the explosion in derivatives. They grew at first mainly as instruments to deal with the increased risks in interest rate and currency volatility. But now almost any company plays with these things. I have a hard time believing that it’s efficient for companies routinely to be using these as supposed hedges. It’s hard to find good reasons why such activities add value for stockholders. The financial companies and banks have used them off-balance sheet and to create excessive leverage, while regulators allowed it. The whiz kids at these banks could wave mathematical models and jargon at them endlessly, as they are doing again at Basel where there is yet another vain attempt to control the moral hazard in banks. The last time around, sovereign debts were thought to be riskless and always excellent collateral. If ever a system cried out for a complete reset, it is the monetary system. Consumers and entrepreneurs often speak of “the cost of money” when referring to interest rates. Modern lenders also refer to the interest they charge as “loan pricing.” Viewed this way, interest is viewed as if it were any other good. The cheaper a good the more affordable it is. And so the lower the interest rate, the more affordable. By dictating key interest rates, modern central bankers are believed to be alchemists, lowering interest rates to magically transform scarcity into prosperity. Strategic Logic Quiz, Review of Austrian Economics, and What about Tomorrow? The three biggest achievements of the Cuban revolution are health, education, and low infant-mortality rates, and that its three biggest failures are breakfast, lunch, and dinner. — Government Worker, Habana, Cuba. A reader, Logan, gave a strong hint for the solution. Before I post the answer, let’s try another question. Use Munger’s multidisciplinary thinking or Professor Greenwald’s strategic logic to find an answer to the following problem: The Cuban dictatorship collapses and property rights are restored. You have been given the job to develop a business in Cuba with barriers to entry. You must build a business with the strongest combination of competitive advantages. What business would you choose, why and how would you build barriers to entry? How many advantages can you design for development? If you come up with a sensible plan, you will be given $5 million to start. Two hints: the business can not be involved in cigars or tourism (like hotels or restaurants). A reading of Cuban business history would lead you to an answer, but I presume many have little knowledge of that history. Tip: A great way to learn about businesses is to read corporate history or the biographies of business leaders. You will sense how a business grows and develops advantages or loses them. What are the markets telling us? Deflation has gold and commodities selling off? I don’t think so. Never predict, but here goes………The Fed and the ECB both have the ability to print money and exchange good collateral for bad collateral with banks. What do central banks know how to do? What motivates central bankers? What are the monetary aggregates telling us? What confidence do you have in Bernanke’s planning ability or in bureaucrats controlling our monetary system? The videos below reinforce the need to read original documents or to speak to people who are actually involved in an industry or sent to war rather than believing our press. Excuse the political connotations. War and the importance of understanding history: http://www.youtube.com/watch?v=I8NhRPo0WAo&feature=youtu.be Note that many against war are the folks who actually have experienced it. A podcast on finding opportunity: http://www.economicpolicyjournal.com/search/label/The%20Robert%20Wenzel%20Show Scroll down to the second or third show.